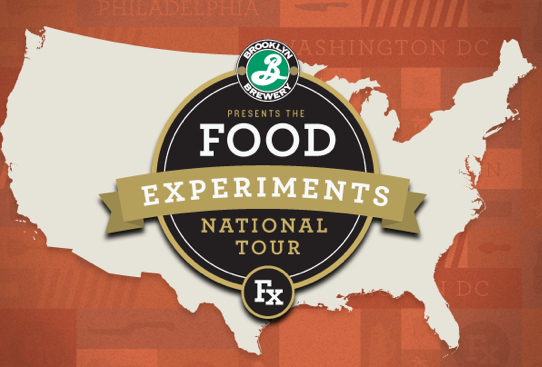 F or anyone who is a whiz in the kitchen or simply savors delicious mouthfuls of food, come to the 2012 Food Experiments National Tour! This countrywide amateur cook-off is continuing its 16-city tour by rolling into Philadelphia’s Underground Arts Theater on May 6, 2012. Amateur chefs are invited to brandish their talents by creating the ultimate sandwich for the public’s tasting pleasure. You are invited to judge this festive and delicious event, joining local expert Emilio Mignucci of Di Bruno Bros to determine the winner. Contenders are not only competing to win over your taste buds, but also for the opportunity to battle other national winners in Brooklyn, New York. A portion of the proceeds will benefit charities that promote healthy eating among Philadelphian youths. So come, tie an apron around your hips or tuck a napkin into your shirt, and partake in this sandwich extravaganza!